As the fourth largest Roman settlement in Britain, Viroconium, or Wroxeter as we know it today, was an important centre located alongside the great Roman road Watling Street. The site was first seriously excavated during February 1859 and swiftly revealed the scale and importance of the find. The news of the discovery spread quickly and attracted a great many visitors. 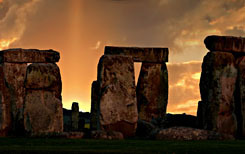 According to some sources it was even visited by Charles Dickens the famous British author. It was quickly clear that what had started out as a simple fortress had turned into a thriving urban centre before it declined and was eventually abandoned after the Roman legions departed from Britain circa 408AD. 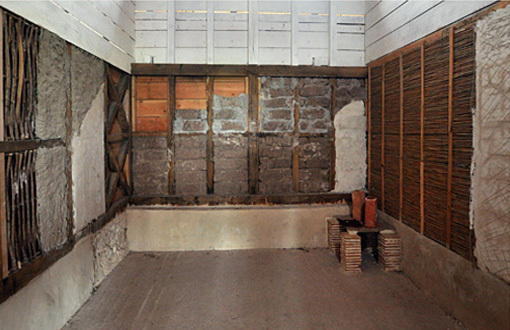 The partially constructed room from left to right: Wattle & Daub, Cross Beams (Oak), Plain Timber, Mud & Straw Brick, Plaster, Hypocaust, Wood-Strip Panels. Archaeologists believe that only a small part of the city has been unearthed but further excavation and the subsequent preservation currently make this project too expensive. The most striking features of the current site are the remains of the 2nd century municipal baths and a large section of wall that once separated them from the exercise hall. In stark contrast to the stone ruins is the very accurate reconstruction of a Roman Villa (town house) which was built during the summer of 2010 through the combined efforts of English Heritage and Channel 4 TV. The result was an authentic-style roman villa in the Urbana style and a six part TV documentary entitled ‘Rome Wasn’t Built in a Day”. For the most part only traditional Roman construction methods and tools were used. This provided both the archaeologists and the historians a unique insight into the issues that the original builders would have had to overcome. 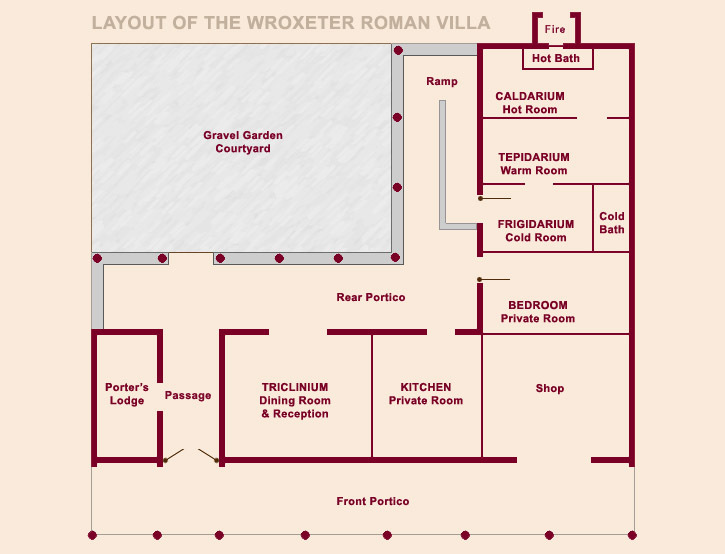 Where possible all materials used were sourced locally and would have been comparable to the materials available nearly 2000 years ago.The new villa was based on an actual building that once existed at Wroxeter and was discovered in 1914. 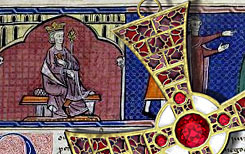 The design was recreated by Professor Dai Morgan Evans of Chester University who was also responsible for overseeing the authenticity of the project. Six builders were recruited to deliver the project with a six month time frame that would coincide with the warmer months of 2010. Although they were all modern builders they brought with them a variety of specialist skills including plastering, bricklaying, carpentry and plumbing. The first stage of the project focused on ensuring that they would only use the correct type of tools that would have existed at the time that the original villa was constructed many hundreds of years ago. In addition, it was necessary to construct a cart as wheelbarrows were initially put off limits. The next stage saw the production of building materials particularly the stone and lime-based mortar which was used to created the base of the building. The team then completed the bathing rooms by raising the walls and by developing hollow clay tubes for the hypocaust system. As the building progressed the huge timber frames were winched into place and the portico columns were installed. The structure was clad in timber and the mosaics designed. The vast job of plastering the building took place as weather conditions deteriorated and put even more pressure on the team. 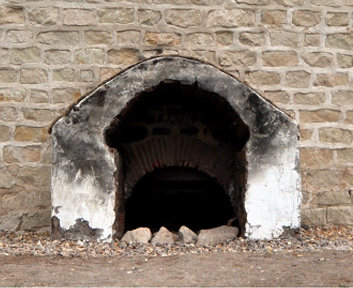 The hypocaust was tested and improved to ensure that it worked. Finally the mosaics were installed and frescoes painted. One of the rooms has been deliberately left only partially constructed to allow visitors to see the different techniques that were used. Here you can see a sample of the hypocaust used in the bathing area as well as the methods used to enclose the gaps in the timber frame that supports the majority of the building. These include wattle and daub. wood panels, straw reinforced brick, and quicklime plaster. 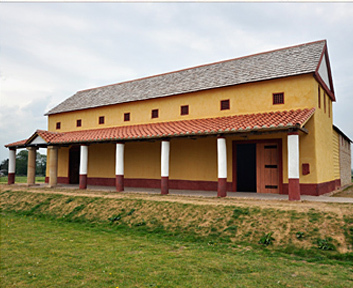 The archaeological lessons learned from constructing the Roman Villa have continued well after it was completed. English Heritage discovered that the some of the plaster work was damaged by the cold winter that started shortly after the project was originally completed. The architect and builders who constructed the building will undertake the repairs and maintenance. According to English Heritage the Romans did not make use of a damp course to prevent moisture from being drawn up into the walls. This process adds weight to the paint coated upper layers and significantly increases the chance of cracks appearing and can even cause the plaster to collapse. Since being opened many thousands of visitors have toured the new roman villa.